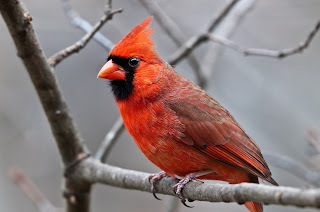 Me: "Hello Mr. Cardinal. What is your wife's name?" Cardinal: "Tiffany, Tiffany, Tiffany, Tiffany." Me: "What does she look like?" 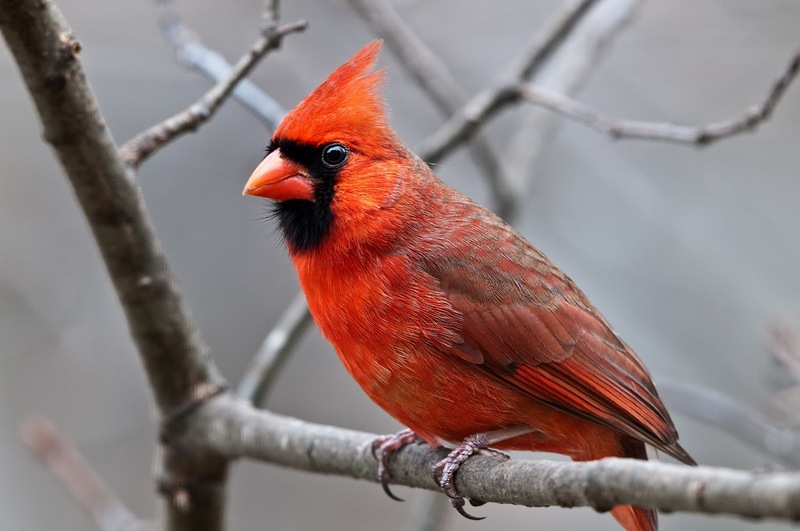 Cardinal: "Pretty, pretty, pretty, pretty. I saw one at the feeder Wed. A rare sight here.